A ball is a classic toy that provides entertainment to people of all ages. Create your own bouncing ball out of white glue and other readily available ingredients. 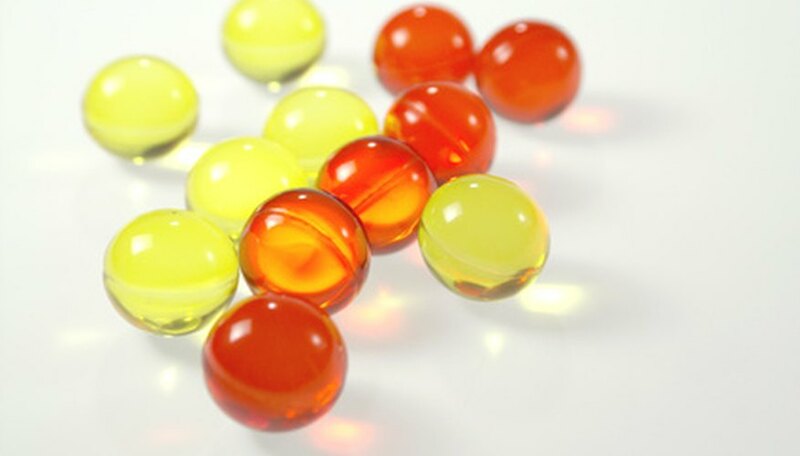 Make a custom colored ball by adding food coloring to the glue or a translucent ball by using clear glue. These glue balls bounce around a foot high. Pour the glue into a plastic cup. Mix the borax and water together in another cup and stir with a craft stick until the borax dissolves. Pour the cornstarch and 1/2 tsp. of the borax and water solution into the glue. Let the mixture stand for 15 seconds. This allows the ingredients to interact with each other. Stir the mixture until it is completely blended and is difficult to stir. Remove the mixture from the cup and roll it into a ball between your hands. It will be sticky at first but will solidify as you roll it. Roll the ball until it is smooth and round. Store your ball in a sealed container or bag to increase its lifespan. The glue ball will lose its ability to bounce within a few days. Borax is found in the laundry section at your local store. Do not pour glue and borax down a drain, as it will clog the pipe. Chuck Ells is an experienced writer who has taught writing to several different ages groups. He has taught beginner writers all the way up through writers working on post graduate degrees. Ells has experience in finance, education, telecommunication, and religious arenas, and holds a degree in youth ministry and teaching.